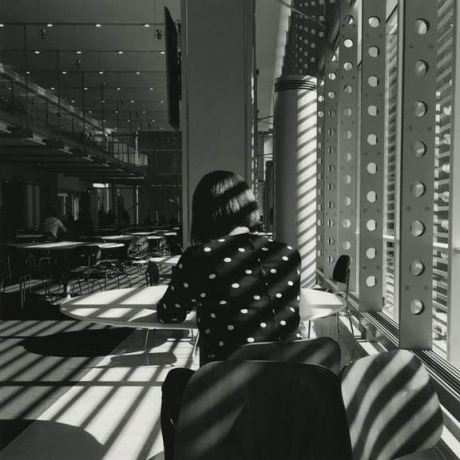 New York City – An exhibition of photographs shot from inside the New York Times building by Kathy Ryan will be on view at Howard Greenberg Gallery from May 5 – June 19, 2016. The exhibition, entitled Office Romance, is the artist’s debut show. Ryan is the longtime director of photography at The New York Times Magazine. An opening reception will be held on Thursday, May 5, from 6 – 8 p.m. In the words of architect Renzo Piano, his New York Times building was “all about the light, and the vibration of light and shadow.” Working on the 6th floor of the building, Ryan admired how the light of New York City would stream in from the large clear glass windows and cast spectacular architectural shadows from the unusual ceramic rods that encase the building. In the fall of 2012, Kathy Ryan saw a zigzag of light on a staircase and grabbed her iPhone to take a picture. From then on, she was hooked. On a regular basis, she comes in early or stays late or returns on weekends to capture the luminous quality of the light. Among her favorite spots are an eastside corner on the 6th floor in the mornings and the west side of the building on the 15th floor at sunset. Seeking beauty and poetry in the office space became a mission for Ryan, unexpectedly leading to a highly successful Instagram account (kathyryan1) with 96K followers ; a book, Office Romance (Aperture, 2014); and a new assignment from the magazine’s editor-in-chief Jake Silverstein to photograph the magazine’s staff and contributing writers and artists for the contributors page. 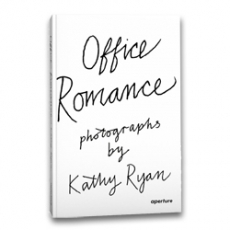 Office Romance reflects the joy and pleasure in each moment captured by Ryan, and also alludes to the contrasts and ironies that characterize the photo world today; as old media meets new, an editor who commissions work from swash­buckling photographers all over the world finds moments of transcendent beauty within her office. 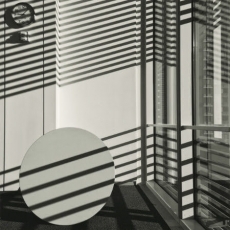 The longtime director of photography at the New York Times Magazine, Kathy Ryan has been a pioneer of combining fine art photography with photojournalism in the pages of the publication. During her time there, the Magazine has been recognized with numerous photography awards, including National Magazine Awards. In 2012, Ryan received the Royal Photographic Society’s annual award for Outstanding Service to Photography. 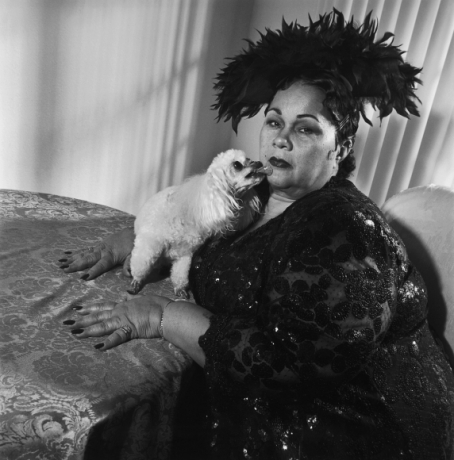 In 2014, she won the Vision award from the Center for Photography at Woodstock. 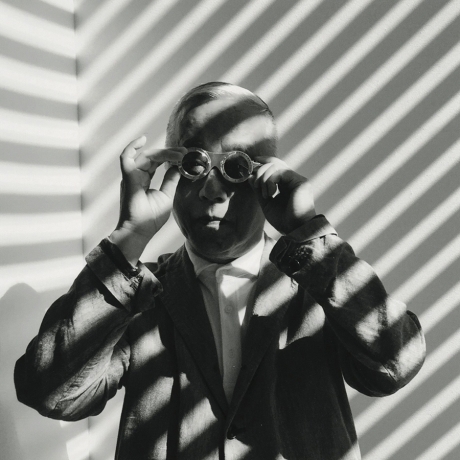 Under Ryan’s leadership, the Magazine commissions the world’s best photographers, a selection of whose work was published in The New York Times Magazine Photographs (Aperture, 2011), edited by Ryan. She also lectures on photography (she gave the 2012 Karsh Lecture in Photography at the Museum of Fine Arts, Boston) and serves as a mentor at the School of Visual Arts.